The Butterley to Langley Mill branch of the Midland Railway was not one of the most celebrated lines to be built by that company. Indeed, many people reading this article may never have heard of this branch line, of no more than six miles in length, which ran through the industrial heart of east Derbyshire. Industry, and in particular coal and iron working, was well established in the Ripley and Heanor areas by the 1870s but despite this there was no direct rail link between the two towns. As early as 1872, the Midland Railway had proposed to link Langley Mill with Ripley and Butterley by extending an existing branch, which served the Bailey Brook colliery. However, the Butterley Company, whose lines the proposed railway was to have run over were opposed to the route. Again in 1876 a further scheme for a line over a less favourably graded route proved unsuccessful. This may have been the end of the story had it not been for the incursion of the Great Northern Railway into the wealthy industries of the Erewash Valley. In 1876 the company had opened the first section of its Derbyshire extension lines, between Nottingham and Awsworth, with another branch heading northwards to Pinxton. By April 1878 the Great Northern had opened the Derbyshire extension lines in their entirety. The route chosen by the company had been specifically chosen to serve as many of the industries of the Erewash Valley as possible and estimated to earn the copy over £50,000 per annum in revenue. 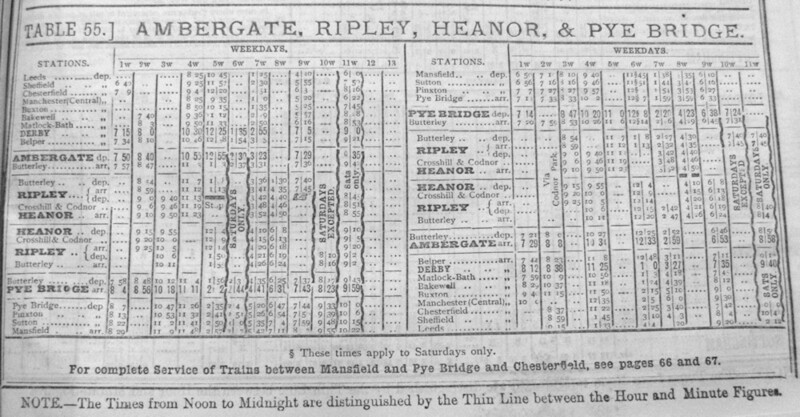 A proposal in 1882 for an independent line from Ilkeston to Alfreton via Heanor and Ripley and the subsequent surveying of a route from Ilkeston to Heanor by the Great Northern Railway probably convinced the Midland that it was they who needed to be the first of the two companies to complete the link between Ripley and Heanor. The Heanor area had been served by a growing network of mineral railways, owned by both the Midland Railway and independent concerns, since about 1850. Despite this, little thought had been given to the provision of passenger facilities. The Midland Railway saw Langley Mill station on the Erewash Valley line as providing adequate enough passenger facilities for the population of Heanor. In fact the station was known as Langley Mill for Heanor between its opening in 1847 until it became Langley Mill and Eastwood in November 1876. The change in name presumably occurred to distinguish the station from the similarly titled Eastwood and Langley Mill on the Great Northern Railway’s Pinxton branch. By the early years of the 1880s, the Midland Railway would have been acutely aware of the disastrous effects in failing to provide a direct link between Ripley and Heanor. When the Great Northern Railway had arrived in the Erewash Valley, a little under a decade earlier, it had been petitioned by the residents of the town of Kimberley, over the border in Nottinghamshire, to provide them with access to the rail network. This was something that the Midland Railway had failed to do when expanding their local network. The Great Northern duly obliged and the station was opened in 1875/1876 to goods and passengers respectively. The company continued to address the demands of the local population and a station at nearby Awsworth was opened in November 1880. In an attempt to regain some of the passenger revenue lost to the Great Northern, the Midland Railway as somewhat as an afterthought began, from 01 September 1882, operating passenger trains along the previously freight only Bennerley Junction to Basford Junction line. Passenger stations were opened at Kimberley, to compete directly with the Great Northern, and also at Watnall, where there was no Great Northern passenger service. The line was located on a railway backwater and took a meandering route into Nottingham and as such services never seriously rivalled those of the Great Northern as they could not compete in either terms of speed or frequency. By January 1917 passenger services along the line had been abandoned, a casualty of the First World War, and were never re-instated after cessation of hostilities. No doubt, the Midland was anxious not to be caught in the same predicament twice and in 1883 submitted an act for the construction of a line between Butterley and Ripley. The parliament sessions for 1884 record the granting of the act for the section between Butterley and Ripley on 03 July 1884. In 1886, further acts were submitted which saw the section between Ripley and Heanor Goods junction being authorised on 25 June 1886. Despite the relatively short distance between Butterley and Heanor the line was not opened to goods and passenger traffic until 02 June 1890. This was probably due to at least two contributing factors. Firstly, the engineer employed to construct the line, one J.P Edwards, had in December 1886 been granted another contract this one for the construction of the 3¾ mile long Nottingham Suburban Railway. Doubtless, having two separate railway lines, both of which required significant engineering, would have slowed progress down. 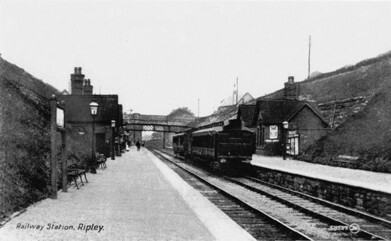 The second, and probably more important factor, was the relocation of the station at Ripley. The Midland had entered Ripley in 1856 with a branch from the Derby to Sheffield line, at Little Eaton through the rural communities of Coxbench and Kilburn before serving the mining and pottery communities of Denby. The station at Ripley was located approximately a mile south-west of the town centre on Peasehill Road. The construction of the line from Butterley to Heanor caused the Midland to reconsider its provision of passenger facilities at Ripley and the decision was made to relocate the station at a site more central to the town centre. The new station was built to the south of Nottingham Road where the line passed through a cutting. The new station was opened to goods and passenger traffic on 02 September 1889 with the original station becoming a goods terminus from that date. The old station continued to serve this purpose until closure on 31 July 1954. As has been previously mentioned the line between Butterley and Heanor was opened on 02 June 1890. In 1887, the Great Northern Railway had seen its own act for a branch of 4¼ miles from Ilkeston to Heanor passed through parliament. This line penetrated the Nutbrook Valley and its rich mineral reserves, which had until this time been a stronghold of the Midland Railway. The Midland however would surely have been satisfied that they had reached Heanor first and would have used the time before the Great Northern arrived to consolidate its position within the town. The Great Northern did not begin operating passenger trains to Heanor until 11 July 1891, some thirteen months after the Midland, and it was a further six months before the terminus at Heanor was fully opened to handle goods traffic on 01 January 1892. As many of the passenger services to operate along the branch either commenced or terminated at Butterley, the station here seems a fitting place in which to begin a description of the line. 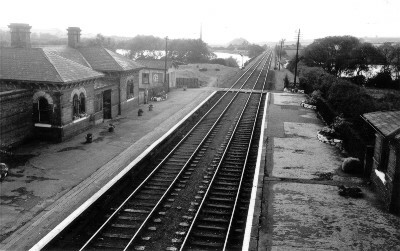 Butterley station was situated on the Midland Railway’s Crich Junction to Pye Bridge line. The line had been authorised under the Midland’s Duffield and Selston acts of 1865, 1866 and 1869 and had been opened in three sections. On 01 June 1874 the western section had been opened to serve Swanwick colliery whilst on 29 July 1874 the eastern section, serving Pentrich colliery, had been opened. The entire route was opened to goods traffic on 01 February 1875 with passenger services commencing some three months later on 01 May 1875. The line was constructed predominantly to tap into the rich mineral reserves in the area with passenger traffic being more of a secondary concern. Butterley was the only intermediate station on the line. Fig.1 Butterley Station looking towards Butterley Junction and Ambergate. water to the Cromford Canal. 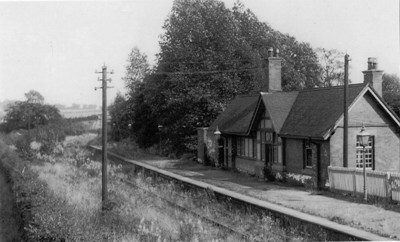 The station at Butterley was located to the west of Derby Road where the road from Ripley to Swanwick crossed the line. Access drives from the west and east of the road led to the main station buildings and goods yard respectively. The station consisted of two platforms built opposite each other. The main buildings were situated on the Up platform and were built of stone with tiled roofs. The buildings were quite elaborate in design with arched windows set into the stonework with decorative lintels and tall ribbed chimneystacks. Passengers wishing to cross between the platforms did so on a wooden board crossing situated at the western end of the platforms. The Down platform possessed a substantial waiting room beyond which lay the station signal box which was identical, in almost every respect, to the Ais Gill signal box on the Settle to Carlisle railway. Leaving Butterley station the line, heading in a westerly direction, almost immediately crossed Butterley reservoir. The reservoir was the largest of three built by William Jessop between 1789 and 1794 to provide water to nearby Cromford Canal. The railway crossed the reservoir on a 260 yard long timber trestle viaduct. The viaduct had twenty two spans each of thirty feet in length. Between the first and second world wars the London, Midland and Scottish Railway proceeded to fill the viaduct in and construct a stone embankment. Prior to this a strict speed limit of 20 miles per hour was imposed on all trains crossing the viaduct. At the western end of the viaduct Ripley and Heanor bound services swung away to the south east whilst the Pye Bridge to Ambergate line continued westwards towards Crich junction. After passing over Asher Lane the Heanor branch crossed the sidings of Pentrich colliery on an impressive eleven span cast iron deck viaduct. The piers supporting the decks were constructed of Bulwell stone whilst the cast iron decks themselves were manufactured by the Butterley Company. A few hundred yards further along the line passed over an accommodation track for the Cromford Canal, which was originally used by horses towing barges, whilst the barges negotiated Butterley tunnel, and the Butterley Company’s branch from Buckland Hollow junction on the Ambergate to Pye Bridge line, which served the collieries at Lower and Upper Hartshay before continuing to Butterley ironworks, Brittain pit and Swanwick junction. The arrangement here was quite unusual as the Butterley company line crossed the Cromford Canal whilst another bridge took the Heanor branch over both the canal track and the mineral railway. The line continued on an embankment before entering the cutting which would take it into Ripley. The railway passed beneath Pentrich Road, Butterley Hill and Outram Street before the cutting began to widen slightly to accommodate the goods facilities of the new Ripley station. Whilst the original station at Ripley continued to handle a majority of the freight traffic generated the Midland decided to provide the new station with a small goods shed and sidings for the storage of wagons. 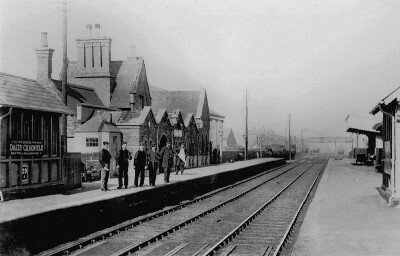 The new station at Ripley was located immediately south of Nottingham Road and was opened to both passenger and goods traffic from 02 September 1889. The station consisted of two opposite platforms. The booking hall and office were located in a building which fronted onto Nottingham Road from where access to the Down platform was obtained. Both platforms possessed substantial brick built waiting rooms whilst the station signal box was situated on the Up platform. The platforms were linked by a cast iron lattice footbridge located near the northern end of the platforms. Due to its location in a cutting the platforms had stone retaining walls to the rear. 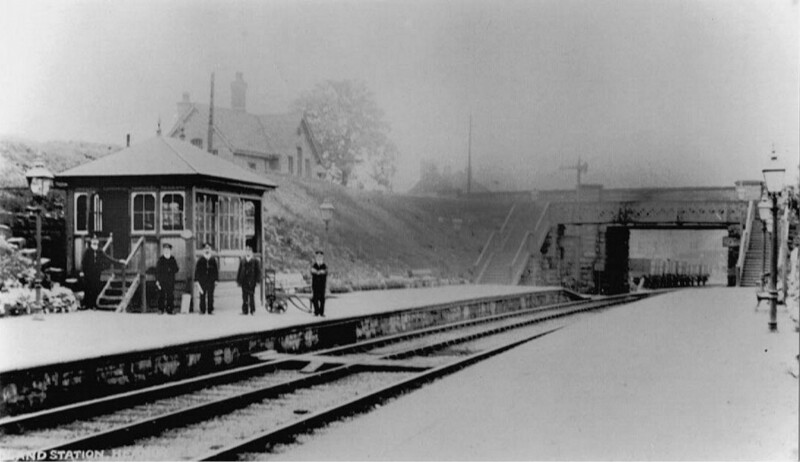 Fig.2 A fine view of Ripley Station looking towards Butterley, circa 1910 . Leaving Ripley station, the double track through the station reverted to a single line prior to passing beneath Albion Street. From the station to Ripley junction the line descended on gradients of between 1 in 50 and 1 in 200 and this section was used by both Derby and Heanor bound services. After running beneath Park Road the line emerged out of the station cutting where to the east of the running line, the sidings to Ripley colliery came in. The colliery itself was located further north and was owned and operated by the Butterley Company. The colliery was served by the private rail network of the company, with the branch leaving their main network at a junction just to the west of Brittain colliery. The line ran southwards, where a spur headed off to serve Fortyhouse pit. This spur was abandoned when the colliery ceased production sometime around 1890. Continuing southwards the line eventually reached Ripley colliery. 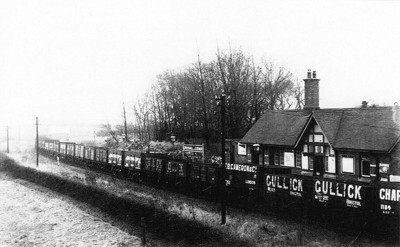 From the colliery the line ran to join the Midland’s Derby to Ripley branch near to the old station. On the approach to Ripley junction the line passed beneath Peasehill Road and shortly thereafter the junction was reached. Here the line to Derby headed in a south-westerly direction where after a short distance the line from the old station joined this branch at another junction known as Marehay junction. Meanwhile, the Heanor branch climbed eastwards on a gradient of 1 in 50 to pass over the line which ran into Ripley goods station on a 26ft span stone arch bridge. Continuing on a rising gradient of 1 in 132 the line headed on its easterly course with the Butterley Company’s Waingroves colliery branch running parallel. The colliery branch had left the Midland’s line just to the south of Ripley goods station on the spur from Marehay junction. The line ran only as far as the colliery. From Waingroves colliery the line began its descent towards Crosshill and Codnor station with the road to Waingroves Hall passing over the line on an imposing stone arch bridge. Now heading on a more southerly course the line ran on an embankment, through which an occupation track from Codnor Denby Lane to Waingroves Road ran, to head through Strelley Wood to reach Heanor Road at Crosshill. When the line was being constructed it was necessary to re-align the Heanor Road to accommodate it. 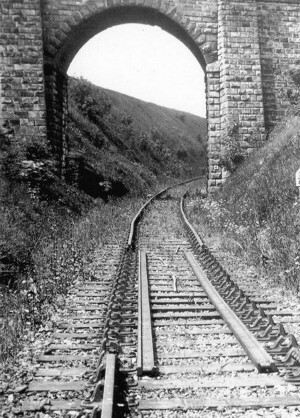 Before the arrival of the railway the road had climbed on a gradient of 1 in 13, as a result of the realignment and construction of the railway bridge the gradient was reduced to 1 in 16. Immediately east of Heanor Road was Crosshill & Codnor station. Located just 1¼ miles from Ripley junction the station was built, surprisingly, at a point where there was little local population and throughout the station’s history there was always a reliance for passenger traffic from areas of housing within walking distance of the station. so services would have to have run tender first in one direction. A solitary passenger is seen walking towards the station exist, whilst a member of station staff is clearly more interested in the photographer than sending the train away! on the station forecourt to the right. Crosshill & Codnor station was the only intermediate station between Ripley and Heanor and was opened to passenger and parcels traffic on 02 June 1890; it was not provided with any goods facilities. The station consisted of a single platform which curved slightly at its eastern end and on which the station buildings were located. Crosshill and Codnor varied in design from Ripley and Heanor, which were built to a standard Midland design of the period, and was a red brick half timbered building. The imposing gables, ribbed chimneystacks and half timbering to the front elevation gave the station a mock Tudor appearance. The building accommodated the booking office and hall, station masters office, general and ladies waiting rooms. A gentlemen’s urinal was located in a separate building attached to the end of the building. The station was lit by gas lamps on cast iron posts which ran the length of the platform with an additional lamp being fixed to the platform facing elevation of the station building. Access to the station was gleaned either from a flight of wooden steps from the Heanor Road overbridge or from a driveway, which descended steeply from Heanor Road, to a small forecourt which extended to the front and side of the buildings. Beyond the building there were extensive gardens. Contemporary photographs from the turn of the century show that these were immaculately kept as was the practice during that period. When the station was opened in June 1890 there was a seven levered signal box which controlled a loop to the east of the station. Trains travelling from Heanor had to climb on gradients of between 1 in 66 and 1 in 86 steepening to 1 in 50 beyond the station. The gradients meant that catchpoints were required to protect runaway vehicles. The arrangement was quite unusual as the loop consisted of interlaced track with trains using a pair of rails in one direction and another pair for the opposite direction. Because the Up track had sprung catchpoints it meant that the loop was impossible for passing trains on. Partly for this reason the Midland Railway decided to dispense with the signal box and loop and they were both taken out of use on 16 March 1896 and were dismantled shortly afterwards. The photographs which exist of Crosshill and Codnor station give the impression that the station was located on a sleepy rural railway backwater. This was most certainly not the case and as the line headed southwards from the station it ran into the industries that had pushed their way westwards from the Erewash Valley. From the station the line ran on a down gradient of 1 in 66 to proceed over open agricultural land on an embankment, crossing numerous occupation and farm tracks en route on stone arch or cast iron deck bridges. The line then, still on an embankment, proceeded to run alongside the western bank of Loscoe Dam. It is interesting to note that all earlier proposed routes for the line between Butterley and Heanor had intended it to run along the eastern side of the dam. After passing Loscoe Dam the railway crossed Furnace Lane, Loscoe to head alongside the Butterley Company’s Ormonde colliery. This colliery had opened in 1908 and rail access was from an extension of the Butterley Company branch which served the Bailey Brook colliery, which had opened as early as 1847, to the north of Heanor. A little further along the short branch to Loscoe colliery passed beneath the railway travelling south-eastwards from its junction with the Ormonde colliery extension branch. Despite both pits being served by rail neither had a physical connection with the Butterley to Heanor line. The line then passed over Taylor Lane on a stone arch bridge to run through the Newlands area of Heanor, on a falling gradient of 1 in 200 to pass beneath Longbridge Lane to enter the cutting on the approach to Heanor station. At Ripley the single track doubled to form a loop to run into both platforms with the sidings and line to the goods shed branching off from the main line. However, at Heanor the goods yard and track layout was slightly different. The single line doubled immediately after passing beneath Longbridge Lane, approximately a quarter of a mile from the station, with the connections to the sidings and goods yard leaving the Up line to cross the Down line into the goods yard. One of the yard sidings was double ended with one set of bufferstops located beyond the goods shed with another set to the east of the Midland Road bridge. Heanor station was located immediately to the east of the Midland Road overbridge. As a point of interest before the arrival of the railway the road south of its junction with High Street was part of Falls Road; the coming of the railway saw the name change to Midland Road with Falls Road commencing just beyond the station. The station was built to a standard Midland design and was not too dissimilar from that at Ripley. 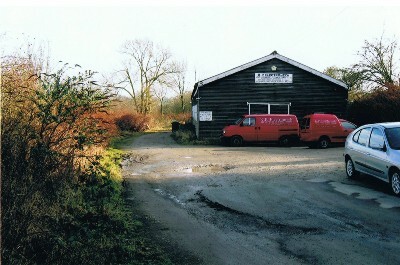 The brick built booking hall and parcels office was located on a driveway just to the east of Midland Road. The driveway continued along the rear of the Up platform whilst passengers accessed the platforms by a wrought iron lattice footbridge which was connected to the driveway with flights of steps descending to platform level. Both platforms were provided with modest waiting rooms, which also housed general, and ladies waiting rooms as well as toilet facilities. The platforms were lit by gas lamps on the standard cast iron posts. The 22 lever signal box was also located on the Up platform. typical of many Midland stations of the period. All of the platforms at the stations on the branch were of a substantial length which would prove useful in the Edwardian period when regular excursion traffic used the line. Heanor station was opened to both passenger and goods traffic from 02 June 1890. The short section from the station to Heanor goods junction, where the Bailey Brook colliery line joined the branch, was opened to goods traffic only on 17 November 1890. This short section of the line and the subsequent extension to Langley Mill will be discussed further in the next section of this article. It was probably due to the opening of the Great Northern’s line from Ilkeston to Heanor that convinced the Midland that there was the need for a passenger connection south of Heanor. On 11 June 1891 the Midland were granted the powers to construct a branch of just 39 chains from Heanor goods junction to an independent platform to the south west of Langley Mill and Eastwood station on the Erewash Valley mainline. It is worthy of note that this platform did not afford direct access to the mainline. Services from Heanor could access the mainline by taking the south east curve at Langley Mill curve junction; however by doing would have been unable to access the bay platform without it being necessary to reverse the train. Fig.5 Langley Mill & Eastwood station at the turn of the 20th century. to the main Erewash Valley line. Just beyond the platforms at Heanor station the double track reverted back to a single running line. An interesting feature here was the crossover built for the benefit of Up trains. Ripley and Butterley bound trains would have approached the station on the Down side before crossing over onto the Up side and into the platform. The line from the Up platform continued beyond the crossover for a short distance before terminating at a set of bufferstops. Quite why this arrangement was featured at Heanor, when a loop would have been adequate, is unclear. From the station, the line travelled eastwards through the outskirts of the town, with the Bailey Brook colliery visible to the north, before running beneath Mansfield Road on a cast iron deck bridge with stone parapets and piers. Between Mansfield Road and Heanor goods junction the Bailey Brook branch gradually ran in from the North West. Whilst the Butterley branch passed beneath Mansfield Road the colliery branch crossed the road on a level crossing. The line to the colliery was opened in 1847 and from Heanor goods junction to a point approximately 200 yards north-west of Mansfield Road was owned by the Midland Railway, the line beyond this point, and the subsequent extensions to Loscoe and Ormonde pits, came within the ownership of the Butterley Company. Heanor goods junction, where the two lines met, was situated immediately to the west of Aldred’s Lane where a signal box was located. 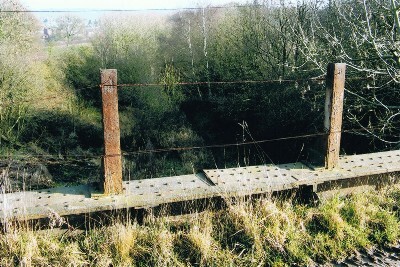 The bridge at Aldred’s Lane, like so many others along the branch, was a cast iron deck affair manufactured by the Butterley Company. From here to Langley Mill curve junction both colliery and Butterley branch traffic would have used the same metals. 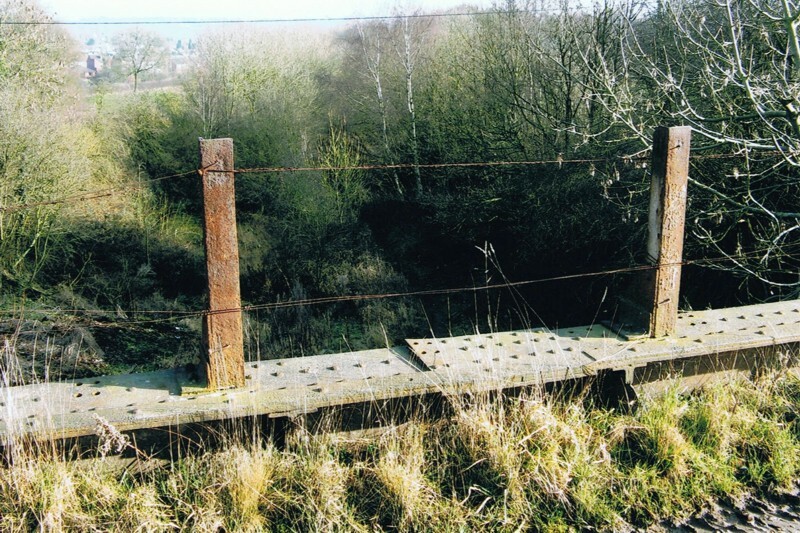 Originally this short section of just 6 chains formed part of the colliery line; however after the commencement of passenger services from Butterley to Langley Mill it was absorbed into the latter route. At Langley Curve junction, the line split again, with one spur heading south easterly to Heanor junction thus affording a connection with the Erewash Valley line where there was also another junction with a branch running to New Langley colliery. Trains from Butterley took the curve heading north east known as Langley Mill curve into the bay platform. Access to the platform was from a footpath which ascended from Station Road, west of the bridge taking the Erewash Valley line over the road. The platform possessed its own waiting rooms and toilet facilities and was lit by gas lamps. A run around loop was provided to enable locomotives to run around their trains. Mention is made of this as neither Ripley nor Langley Mill were provided with turning facilities. This meant that trains from Butterley would have to run tender first before running around at Langley Mill to haul the train back locomotive first. The distance between Heanor goods junction and the platform at Langley Mill was relatively short; however progress appears to have been slow and it was not until 01 October 1895 that services began operating along the entire route between Butterley and Langley Mill. The opening of the railway to passenger traffic, between Butterley and Heanor, generated much local interest. Records from the period also show that this interest even manifested itself prior to the opening. In March 1889, the Reverend Bates, of St James Church, Crosshill, wrote to the Midland Railway to enquire when the station at Crosshill and Codnor would be erected. The railway company responded by informing him that it was not possible to fix a date when the station would be constructed but that it would be done in conjunction with construction of the line from the south. The example clearly shows that the arrival of the railway was being awaited with much anticipation. We must not neglect the fact that some eighteen years had passed since a railway from Butterley and Ripley to Heanor had first been proposed, and it can only be speculated that the local community must have felt that the arrival of the railway was long overdue. The line between Butterley and Heanor was opened on 02 June 1890 and was the cause for much local celebration. Throughout the Victorian period communities the length and breadth of the country had celebrated the arrival of the railway. At this time, rail travel was the only realistic means of travelling any distance something that a lot of people had been unable to do before. It therefore comes as no surprise to learn that the opening of the Butterley to Heanor branch was reported on by the press. On 04 June 1890, the following article appeared in the Derby Mercury. It captures well the local sentiment towards the arrival of the railway without the need for any further explanation on my part. The first train from Ripley to Codnor and Heanor via Ambergate at nine o'clock on Monday morning came into the Ripley station at the appointed time. There was a large number of spectators there to witness the arrival. Several persons left by the train from Ripley for the purpose of having a ride and nothing more. On the arrival of the train at Codnor the railway bridge was crowded with spectators and the greatest interest was manifested. Some of the oldest inhabitants got into the train at Codnor station apparently much pleased at having lived so long as to see a railway to Codnor. A number of school children got in at Codnor, for whom tickets could not be obtained, a sufficient number not having been provided. The train next proceeded to Heanor, where some hundreds of persons had assembled to witness the novel proceedings. The return train at 9.54 to Ripley was again crowded. The Ripley and Heanor stations are both neat and commodious, and there is no doubt the branch line will pay the directors for the immense outlay they have made. The new line was duly inspected on Saturday last, as is usual in such cases. An excellent service of trains has been arranged, and travellers from Chesterfield and the North, instead of having to journey to Derby and then come back a short distance and proceed along the Ripley branch will have two routes open to them. They may travel by either Pye Bridge or Ambergate, thence along the Butterley branch, and then by the new Ripley and Heanor line. The service of trains is arranged on the following simple system:- Starting from Mansfield a train will run to Pye Bridge, thence to Butterley, then branching off to the left to Ripley, go forward through Cross Hill and Codnor to Heanor. Then it will run back from Heanor through Ripley to the Butterley Branch and - instead of going back to Pye Bridge and Mansfield - will go forward to Ambergate. From Ambergate the service will be exactly reversed, the trains after travelling to Ripley or Heanor running back to Pye Bridge and Mansfield. By this ingenious arrangement every place will be well served. When the branch was opened a service of four trains daily in each direction operated between Butterley and Heanor with an additional evening service running on Saturdays only. Throughout, its entire period of operation there were never any timetabled Sunday services. The journey time for the five miles between the two stations was sixteen minutes. When compiling information for this article I thought that it would be interesting to see whether the same journey today by road could be made in a shorter time than a train, which operated over a century ago. Therefore, following a route, which followed the course of the railway as closely as possible, and without making any unnecessary deviations, I departed from the forecourt of Butterley station at 11.07 just as the train had done in June 1890. My arrival at the site of Heanor station, on Midland Road in Heanor was at 11.21. In 1890 the 11.07 departure from Butterley arrived into Heanor at 11.23. If nothing else, the experiment proved that over a century later it would be difficult to complete the journey in a much shorter length of time. It does make one wonder though how long the journey would take during the morning and afternoon peak times. 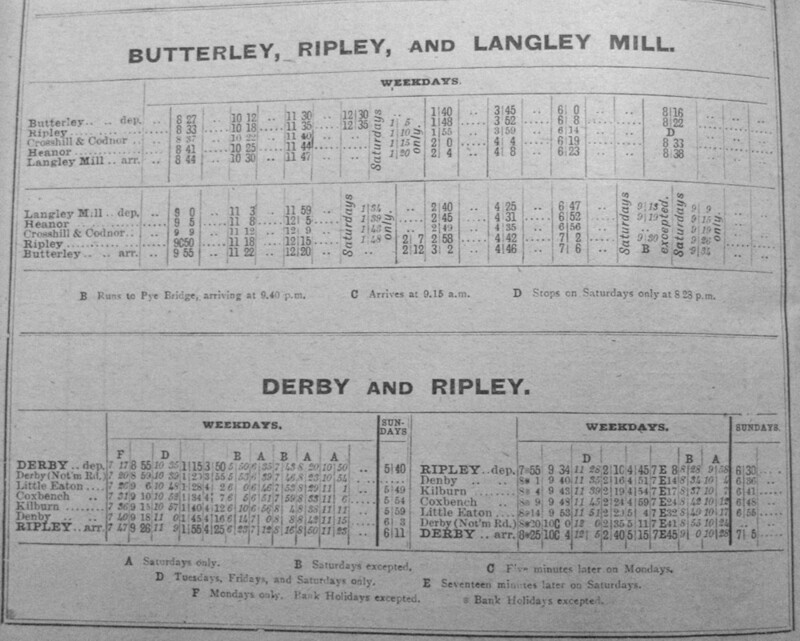 The public timetable for May 1896 shows that, after the opening of the Langley Mill extension in October 1895 that there were six trains a day between Butterley and Langley Mill with a further two trains operating between Ripley and Langley Mill. In addition to this there was a Saturdays only evening service ran between Ripley (dep 8.35pm) and Langley Mill (arr 8.50pm). In the Up direction there were seven trains between Langley Mill and Butterley, two between Langley Mill and Ripley and, on Saturdays only, two evening services from Langley Mill (dep 8.15pm & 8.55pm) to Ripley (arr 8.50pm & 9.20pm). A similar service ran for many of the following years with only slight variations. These variations merit attention as they demonstrate well how the Midland Railway increased the number of destinations that could be reached, from stations along the branch, without the need for changing trains. From the commencement of services in 1890 a number of services along the branch had either originated from or terminated at Ambergate and Pye Bridge thus affording passengers access to two of the Midland Railways principal routes; the Derby to Sheffield and Erewash Valley mainlines respectively. However, towards the end of the Victorian period, and throughout the Edwardian era, a number of services were run to destinations further afield, or were run to connect with other long distance services. An interesting train, which demonstrates the above point well, may be seen in the Midland Railway’s public timetable for May and June 1900. A train departed Nottingham Midland at 3.25pm and proceeded to travel along the Basford to Bennerley Junction branch, calling at all intermediate stations, to Ilkeston Town, where it arrived at 4.02pm. The train then proceeded to Langley Mill and then along the branch to Ripley where it arrived at 4.35pm. Finally, the train proceeded from Ripley to travel via Butterley and Pye Bridge to Mansfield where it terminated at 4.51pm. In later years this service was run in a similar fashion; however from Ripley it continued to Chesterfield via Ambergate. From 1900 onwards public timetables show that an additional train ran in each direction on Saturday lunchtimes. It is not possible to state with certainty why this train was added to the timetables but it is a reasonable possibility that as many industries closed down at lunchtime on a Saturday the extra trains were required to take workers back home. Such services were commonplace across the railway network and the adequate patronage of this service on the Butterley to Langley Mill branch saw it continue in the timetables right up until closure of the line. 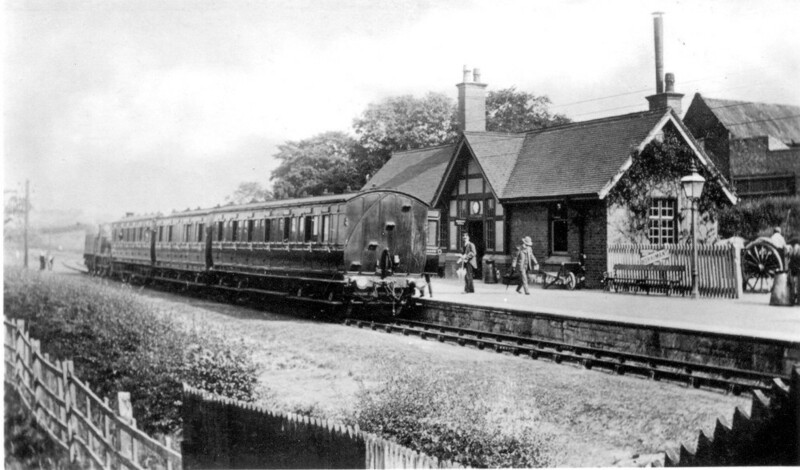 One further development which occurred towards the latter end of the Edwardian period was the introduction of a service from Derby which ran to Ripley via Little Eation, Coxbench, Kilburn and Denby to connect with the train from Butterley to Langley Mill. This service may be seen in the timetable for July to September 1911 where a service departed Derby at 10.35am, calling at all intermediate stations to Ripley where arrival was at 11.06am. A connection could then be made with the 11.26am from Butterley, departing Ripley at 11.32am, for all stations to Langley Mill where the train arrived at 11.46am. 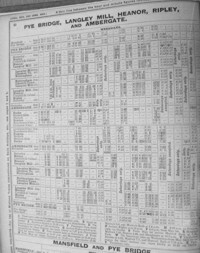 July to September 1899 timetable. 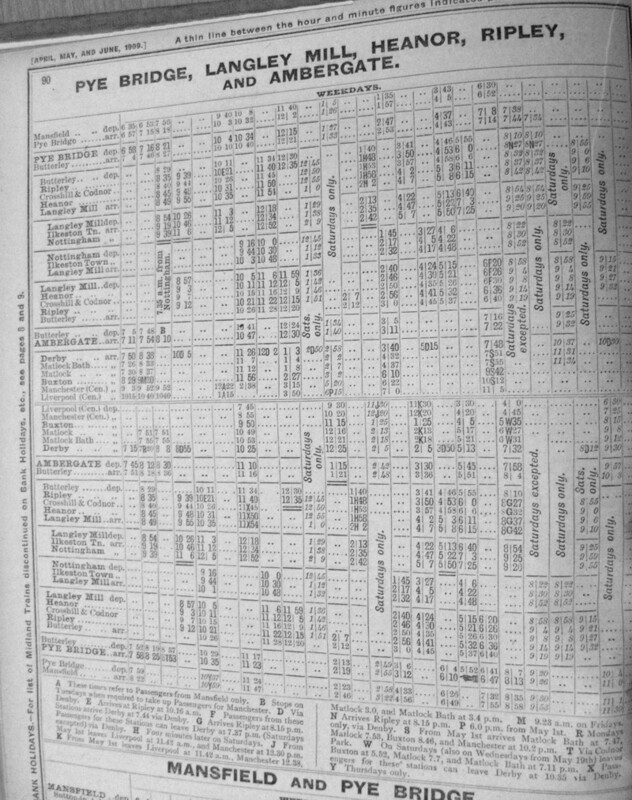 April to June 1909 timetable. Displayed courtesy of R Burrows collection, Midland Railway Society/Midland Railway Study Centre. By studying a majority of the public timetables for the branch it became apparent to me that the heyday for services along the line was the decade from 1900 to 1910. During this time the Midland Railway was clearly committed to the promotion of a viable and sustainable service along the branch. The tickets in this article also demonstrate that during the period concerned passenger patronage was adequate. 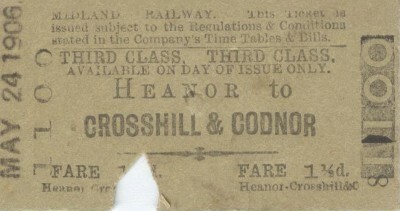 The single ticket from Heanor to Crosshill & Codnor dated 24 May 1906 is numbered 1101. 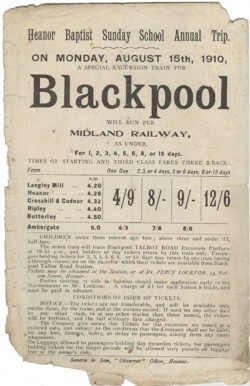 Comparison between this ticket and one dated 5½ years earlier on 11 October 1900 reveals that an average of 35 tickets per day were issued for this journey. This does not take into account the number of return tickets that would also have been issued for the same journey. Fig.6 Two examples of Midland Railway tickets issued in the early 1900s. 24 1906. The ticket shows that this was the 1101st ticket to be issued for this particular journey. 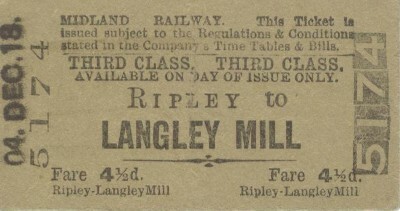 Right: Third class ticket issued from Ripley to Langley Mill on 04 December 1913. This was the 5175th ticket to be issued for this journey. This appears to have been a popular journey and clearly demonstrates that before the tramway arrived and became established that services along the branch were reasonably patronised. In addition to regular passenger services, the Edwardian period saw the popularity of excursion traffic increase. The Midland Railway, like so many railway companies at this time, was keen to promote this form of service as excursion traffic was a lucrative and competitive revenue earner. The excursion offered local people the opportunity to have a day away to places, usually seaside destinations, that they would otherwise have been unable to reach and at affordable prices. During the Edwardian period, the Heanor Baptist Sunday School ran regular August excursion trains to Blackpool. The handbill included in this article shows that such an excursion ran on Monday 15th August 1910 and demonstrates that passengers certainly did get their moneys worth. Although not shown on the bill arrival in Blackpool would have been at approximately 8.20am. Assuming similar journey times on the return journey arrival back at Ripley would not have been until 2.20am and Langley Mill 2.40am. to fifteen days, with fifteen days costing just 62 1/2 pence. There exists another handbill for the excursion which was scheduled to run on Monday 10th August 1914. The arrangements were slightly different with the train running in two portions to Ripley. The first portion departed Heanor at 4.00am called at Crosshill & Codnor at 4.03am and arrived in Ripley at 4.12am. Here this portion was attached to that which left Langley Mill at 4.05am, calling at Heanor at 4.10am but not Crosshill & Codnor to arrive in Ripley at 4.25am. The object of this would undoubtedly have been to convey more coaches than in 1910 when the number would have been restricted by the length of the branch platform at Langley Mill. The combined train left Ripley to call at Butterley at 4.35am and Ambergate at 4.48am with arrival at Blackpool being at 8.10am. The fares were also slightly higher on this occasion for the 1,2,3,4, 5 and 6 day trips the fare was 5/, 8/6 and 9/6 respectively whilst the 8 or 15 day fares varied according to the station, being 13/6 from Langley Mill, Heanor and Crosshill and Codnor and 13/3 from Ripley, 12/9 from Butterley and 12/6 from Ambergate. However, it is almost certain that this particular trip did not take place. Following the declaration of war on 04 August 1914 the government took control of the mainline railways and all excursion traffic was immediately suspended. at 5.02pm or Langley Mill at 5.12pm. Nottingham, arriving at Langley Mill at 10.22pm. By the end of the yearbook in question, March 1906, there had been no response received from the Midland Railway. It is impossible to speculate whether the lack of response from the company demonstrates a nonchalant approach towards the branch or whether it was simply not possible to make alterations to the timetable after publication. It does prove however that at this particular point in history there was sufficient interest in local rail services to warrant the town council making contact with the railway company. This view is further enforced by the fact that during the same period Heanor Urban District Council also made contact with the Great Northern Railway Company with a similar number of requests for service improvements on the company’s branch between Heanor and Ilkeston. If the years of the Edwardian period marked the peak of prosperity for the Butterley to Langley Mill line then the following years marked the onset of a rapid decline in both service provision and passenger patronage. Surprisingly it was two developments which occurred within the space of just 12 months that were to rob the branch of its raison de etre and ultimately lead to its premature closure. These developments are discussed in the next section. From October 1895 when the branch was operational in its entirety, the Midland Railway had operated a service of nine trains in each direction along the line with additional services running on Saturday lunchtimes and evenings. Throughout the late Victorian and during the Edwardian period the road between Ripley and Heanor had seen a substantial amount of ribbon development over much of its length. Initially some of this development would have been initiated by the arrival of the railway and it is ironic that this was to lead to the first of the aforementioned developments that was to lead to the railways demise. The increasing population along the road made it ideal for the construction of a tramway. In 1903 the Nottinghamshire & Derbyshire Tramway Company was formed. The company had initially proposed a route of some 95 miles with no less than 5 tram sheds and 316 passing loops linking a wide area of villages and townships in East Derbyshire and West Nottinghamshire. Fierce opposition, in particular from the Midland Railway, saw the proposed mileage reduced firstly to 79 miles, then 47 miles, and finally 15 miles. The tramway was to own the 11¾ from Ripley to Cinderhill. It then leased 1.36 miles from Nottingham Corporation Tramways between Cinderhill and Basford and had running powers over a further 2.3 miles of corporation tracks from Basford to the centre of Nottingham. The tramway was opened in sections, with the first being that between Crosshill and Cinderhill on 29th July 1913. The line was opened in its entirety by 15 January 1914. Although a decade had elapsed between the authorisation of the Nottinghamshire and Derbyshire Tramway Act and its eventual opening despite being resigned to the fact that much of the local traffic between Butterley and Langley Mill would be lost, the Midland Railway appears to have done little, if any, damage limitation. When rail travel was the only realistic means of travelling any reasonable distance the fact that a railway station was located sometimes 2 or 3 miles from the place it pertained to serve, did not pose a problem to people who would not think it unusual to travel this distance on foot. The trams suddenly gave an unprecedented level of access thus allowing greater local movement. Not only could the railway not compete on this level but neither could it offer the same frequency of service or competitive fares. The tramway timetables show a half hour frequency between Ripley and Nottingham with the first car leaving Ripley at 5.55am on weekdays, the last departure being 9.15pm. On Saturdays a similar service was operated, however between 1.45 and 5.00pm and from 5.00pm to 9.24pm cars ran at 15 and 12 minute intervals respectively. There was a quarter hourly service on Sundays from 11.15am until 8.15pm. 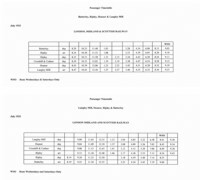 If we compare these statistics with the October 1914 Midland Railway timetable for the Butterley and Langley Mill branch. This shows the first departure from Ripley towards Langley Mill at 8.33am and then operating at approximately 2 hourly intervals until the last departure at 8.28pm it is easy to see how instantly popular the tramcar became. This combined with the fact that there were over 230 stops between Ripley and Nottingham, thus allowing passengers to disembark closer to their destinations, meant that the railways was always going to be at a serious disadvantage. The final point to consider when discussing the tramways is the competitive fares that they offered passengers. Fares were set at a penny a mile with reductions if riders travelled over a number of sections. 5 consecutive stages cost 4d, 7, 6d, 8 7d, 10 8d and 12 10d. An 11d ticket ensured a ride from Ripley to Basford with an 11½d ticket allowing a journey over the entire route. 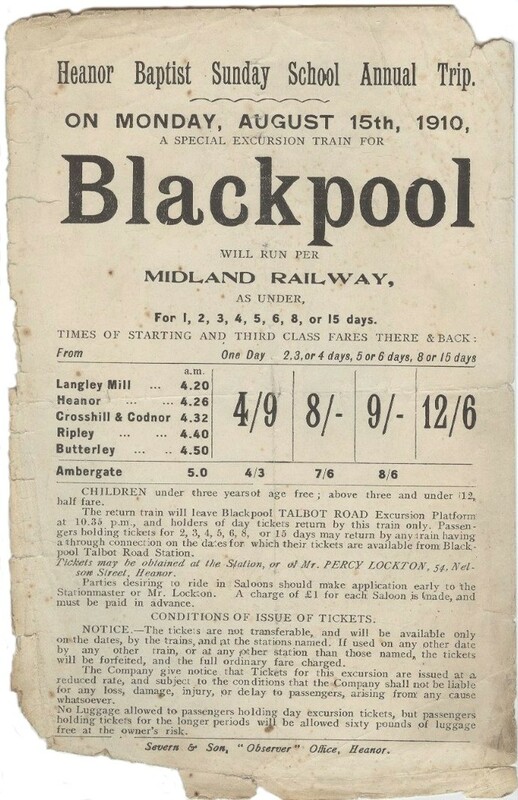 Colliers were able to travel to and from the pits for a penny regardless of the length of the journey whilst workers travelling before 8am could purchase return tickets for the price of single ones. The railways had no chance to respond to the threat posed by the tramways before the second crisis befell it. On 04 August 1914 Britain entered the First World War and with immediate effect the railways came under direct government control. The ensuing months saw a gradual reduction in passenger services across the country. However, the Butterley to Langley Mill seems to have retained its previous level of service. 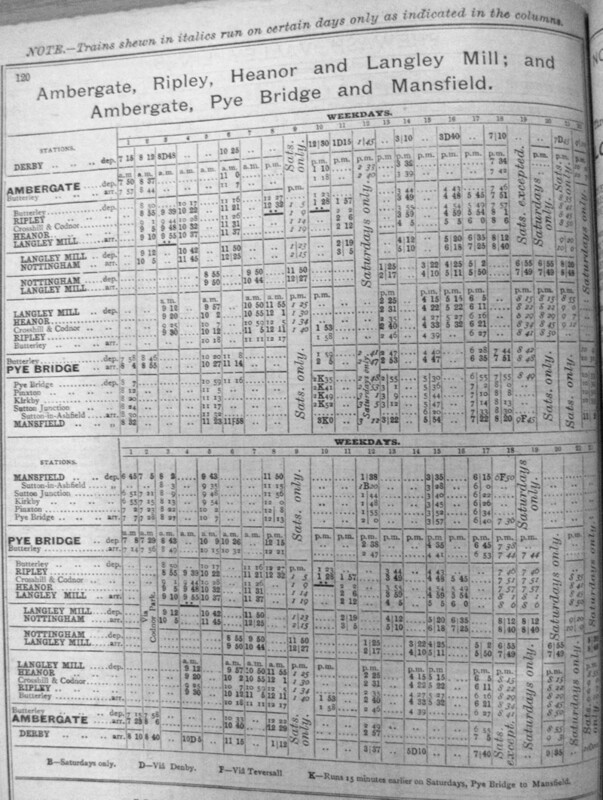 A look at the summer timetable of 1915 shows that in the Down direction there were 3 trains from Pye Bridge to Langley Mill via Butterley, 3 between Butterley and Langley Mill and a further 2 from Ambergate to Langley Mill. These services included the 9.40am Mansfield to Langley Mill as well as 1.15pm and 3.30pm Ambergate to Langley Mill services. The Up service was simpler with 5 trains running between Langley Mill and Pye Bridge via Butterley and 3 services from Langley Mill to Ambergate, the 9.13pm Saturdays excepted service running from Langley Mill through to Mansfield whilst the 9.09pm Saturdays only service ran through to Ambergate. By 1916 the war had tightened its grip and further economies in services and staffing occurred. The service between Butterley and Langley Mill was reduced to 7 trains in each direction and in an attempt to economise, with the exception of Saturdays, the last train of the day in each direction no longer called at Crosshill & Codnor. Around the same time economies in staffing meant that one stationmaster was shared between Heanor and Crosshill & Codnor stations. 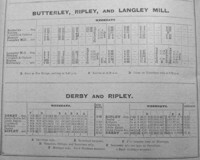 With the need to make economies becoming increasingly prevalent towards the end of 1916 the Midland Railway announced that with effect from 01 January 1917 services between Ripley and Langley Mill would be suspended and so at 9.09pm on Saturday 30th December 1916 the last train for more than three years departed Langley Mill for Butterley. At the same time that suspension of services between Ripley and Langley Mill was announced it was also reported that the service between Ripley and Butterley was to be reduced to just 4 trains daily in each direction; however this service too was suspended with effect from 01 October 1917. The Butterley to Langley Mill branch was not an exclusive example of the Midland Railway’s wartime economy measures. On the same day that services between Ripley and Langley Mill were suspended, those on the company’s Bennerley Junction to Basford branch via Kimberley were suspended. Having become increasingly unviable to operate for a number of years the Midland decided to make closure of this branch permanent shortly afterwards, even going as far as lifting the rails west of Kimberley and presenting them to the war department in France. However, even this patriotic gesture was doomed to failure when the ship transporting the rails was torpedoed in the North Sea en route to the Dardanelles. Following the cessation of hostilities the service between Butterley and Langley Mill was reintroduced on 03 May 1920 and its wartime level of service of 7 trains in each direction implemented. However, during the three year suspension in services developments in public transport had occurred which had seen the emergence of a number of local motor bus operators. These independent operators combined with the tramcars meant that most of the pre-suspension passenger traffic had now been lost. A further blow to the railway came in August 1920 when the Trent Motor Traction company began operating buses between Heanor and Derby. This service enabled passengers to travel directly between the two towns something that was not possible by rail. The trams also provided a direct link to Nottingham again not possible to do so by rail without having to change trains. Therefore it is difficult to see what the Midland Railway believed it could gain by a continuation of services along the branch. In 1921 the Railways Act grouped all the railway companies in operation within the British Isles. This meant that over 300 companies were reduced to just 4. These were the Great Western, Southern, London & North Eastern and London, Midland & Scottish. The Midland Railway was absorbed into the latter of the four companies. 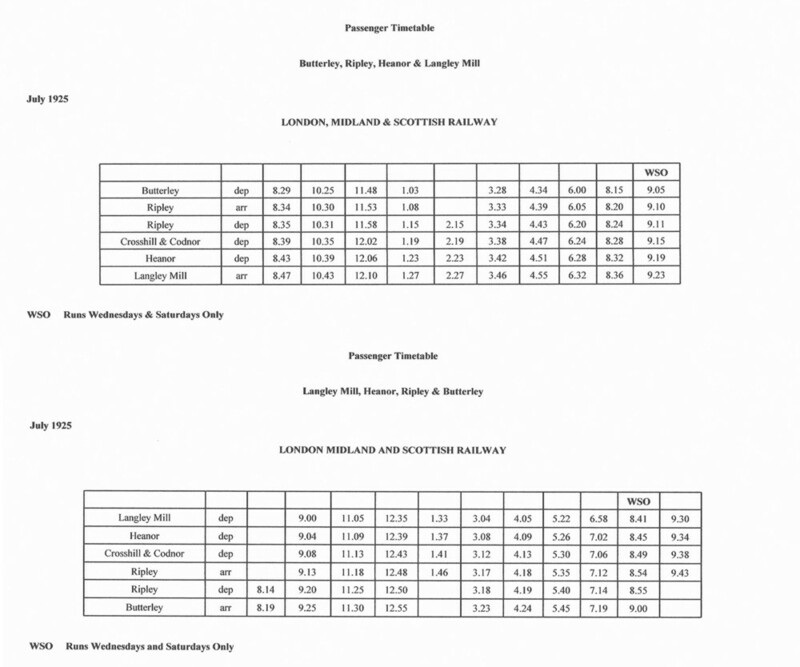 The LMS seem to have made one final effort to include passenger patronage by increasing the service along to its pre-tramway level of nine trains in each direction. There were also additional trains on Wednesdays and Saturdays and trains also ran later into the evenings. In an attempt to compete with the buses and trams many services were speeded up for quicker journey times. Between 20 February and 23 March 1925 the service was operated by a Sentinel Steam railcar. The railcars were manufactured by the Sentinel Company of Shrewsbury in August 1924 with orders being placed by both the LMS and LNER. The cars could accommodate up to 52 passengers with luggage and were intended to replace locomotive hauled services on low to medium density routes. The LMS chose the Butterley to Langley Mill branch to conduct trails for these vehicles. It was not the first time that the branch lines of Derbyshire had been used for running steam carriages. In 1906 the Midland Railway had introduced a motor train service on the Derby to Ripley, Derby to Wirksworth and Derby to Melbourne lines. These trains comprised of Hudswell-Clarke 4-4-0T locomotives and an old Pullman coach. An example of such a train can be seen in the image of Ripley station which appears in this article. Unfortunately the steam railcar trials and competitive services came at a time when the country was in a state of recession and general unrest. At midnight on 03 May 1926 railwaymen joined the general strike and as a result services between Butterley and Langley Mill were suspended with effect from 04 May 1926. When the strike was brought to an end rail services were reintroduced on many routes; however, those between Ripley and Langley Mill were not but despite this the suspension was still deemed to be temporary. Permanent closure was announced in October 1928 but by this time the line had been badly affected by mining subsidence that even with speed restrictions it is difficult to see how services could have been maintained. 2½ years had passed between the suspension of trains and the announcement of formal permanent closure but in reality the line could have been regarded as closed since 17 November 1926. On this date the rails to the west of Heanor were severed thus preventing through running. From this date until 02 April 1928, when the rails were lifted from Heanor to 400 yards east of Crosshill & Codnor station, the line from Ripley junction was used for the storage of empty mineral wagons. Furthermore on 06 August 1928 the signal box at Ripley junction was closed and the branch connection severed authority for this having been given on 19 December 1927. Finally on 03 September 1928 the Ripley Junction to Heanor section was taken out of use and the spur into the branch platform at Langley Mill severed at its junction with the Heanor goods line. milage from the Midland Railway's London terminus at St Pancras. in its altered form, an image of which appears later in this article. For a further 12 months after October 1928 the line remained in situ. The once meticulously kept permanent way was further ravaged by the effects of mining subsidence and increasingly the line took on an atmosphere of desolation and dereliction. Nowhere more was this seen than at Crosshill & Codnor station where the nameboard and timetable boards remained long after the last passenger train called. The once pristine gardens, where only twenty years earlier, station staff had posed for photographs by the immaculately kept flowerbeds became an overgrown wilderness and the track, which now came from and went to nowhere became derelict and weedgrown. The station would no longer echo to the sounds of Johnson 0-6-0’s as they laboured up the 1 in 66 gradient from Heanor and instead the only sound resonating around the derelict station buildings would be the distant clanging of the tramcar bell which had sounded the death knell for both the station and the line. The situation may have remained the same had it not been for the board meeting held in Derby on 19th January 1930 whereby authority was given for the removal of the permanent way, bridge structures and other works with the exception of the station buildings at Heanor and Crosshill & Codnor which were to be converted into dwellings. Dismantling of the line was swift; however a number of bridges remained until relatively recently. lifted until authorisation was granted by the LMS in December 1929.
days, would not be removed until after formal closure was announced. station gas lamps and fence still remain. Services between Ripley and Butterley had been reintroduced after the general strike had ended. However on 25 November 1929 the Chief Superintendent at Derby reported that the line between Butterley Junction and Ripley station was “not safe for traffic” and instructions were given that trains were no longer to run over the line. Services between Butterley and Ripley were permanently withdrawn on 01 June 1930. At the same time the service between Ripley and Derby was also withdrawn. The eastern end of the branch fared only slightly better and economies were soon being made. On 17 December 1930 an LMS committee proposed the closure of Heanor goods junction signal box. Following the closure of the Bailey Brook colliery branch on 23 August 1931 the junction and signal box immediately became superfluous and on 23 November 1932 the signal box was dismantled. The corresponding committee minutes book note that the removal of the box would result in an annual saving of £298 in signalmen’s wages and a further £41 in general repairs and maintenance. Earlier in the same year, on 09 May, the Up loop at Heanor station was taken out. The effect of this was to create a single branch, of a little over a mile in length, which ran from Heanor Junction, on the Erewash valley mainline, to Heanor station yard, where the connections were retained to serve the sidings and goods shed. The line towards Ripley extended a little further westward before terminating at a set of bufferstops just beyond the bridge at Longbridge Lane, Loscoe. For a further 20 years the short branch, the last remnants of the Butterley to Langley Mill branch, soldiered on handling the small amount of traffic generated within the goods yard at Heanor and forwardings of coal from the adjacent collieries. Upon nationalisation, on 01 January 1948, British Railways swiftly set about the task of dispensing of those parts of the railway network which were no longer financially viable. The years following the Second World War had seen the railways lose a lot of traffic to road competition and the National Coal Board, on whom the short branch to Heanor heavily relied upon for most of its traffic, were quick to utilise this method of transportation. On 01 July 1950 British Railways renamed the former Midland Railway station at Heanor, Heanor North. However, the new title did not lead to a revival in fortunes and traffic continued to dwindle. Therefore, it came as no surprise, when British Railways announced, the closure of the line with effect from 01 September 1951. 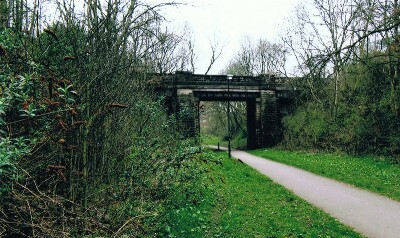 The closure of this small section of line marked the end of the former Butterley to Langley Mill branch. 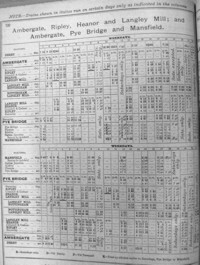 The coal crisis of 1947 had finally killed off the passenger service between Ambergate and Pye Bridge and Butterley station was closed to passenger traffic on 16 June 1947. Therefore, the closure in September 1951 of the final section of the branch brought an end to the history of a line, which had been operational for just sixty-one years. After the line closed completely, the course of the line was allowed to revert back to nature, and until the 1970’s remained largely unchanged. Despite popular written opinion there are still notable remains of the branch today. In order to establish where these remains can be found it is necessary to trace the length of the route. The site of Butterley junction is now occupied by a factory and the A38 dual carriageway has been built over the site of the seven span viaduct which crossed Pentrich colliery. Pentrich colliery was served by the private railway network of the Butterley company and that company built a bridge to carry its railway over the towpath of the Cromford Canal. 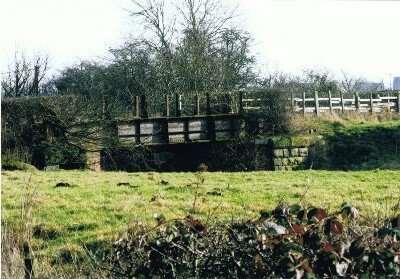 When the Butterley to Langley Mill line was built a viaduct was constructed to carry the line over the Butterley company’s lines and the Cromford canal. There still exist remains of the embankment which carried the line towards Ripley and the stone abutments of one of the bridges on this section remain. Just beyond the site of the bridge remains is the start of the Ripley greenway which follows the alignment of the railway as far as Ripley junction. The greenway follows the approximate course of the line into Ripley and the bridges which took the line between Pentrich Road, Alma Street, Butterley Hill, Outram Street and Nottingham Road still exist. The only one of these bridges which has been filled in up to parapet level is the Outram Street bridge. Along this section of the route the depth of the original cutting can be appreciated well. The site of Ripley station has been extensively landscaped and there remains very little of the station. Until the 1970s the station buildings were still in existence and were used by Clower’s builders When the station was demolished a decorative Midland Railway keystone was saved and is now preserved at the Midland Railway Centre at Butterley. At street level it is still possible to discern where access to the station from Nottingham Road was obtained and a small section of the cast iron fencing remains in situ. The Ripley greenway continues following the alignment of the route however extensive landscaping of the area means that it is difficult to appreciate the extent of the coal industry which dominated Ripley for the first half of the last century. The sidings of the Butterley company’s Ripley colliery are now occupied by a football pitch and recreation ground. At Peasehill Road the line passed beneath and here the bridge has been filled in so that only the parapets remain above ground. All traces of Ripley junction and the bridge which carried the Langley Mill branch over the line to Ripley goods station have been removed. It is still possible to trace the course of the Derby branch heading southwards towards Denby. Waingroves brickworks still exists today however on a much larger scale which has resulted in the existing buildings encroaching on the alignment of the Langley Mill branch. At the western end of the brickworks there is a footpath which runs parallel to the course of the branch. This footpath was actually part of the Butterley Company’s branch to Waingroves colliery. Unfortunately nothing remains of the colliery itself although the site of the shaft has been preserved. The alignment of the Langley Mill branch is found where the line passed beneath the road to Waingroves Hall. Here the cast iron deck remains although the effects of time and exposure to the elements are evident. The stone pillars which support the structure are remarkably well preserved. It is interesting to note that the eastern side of the bridge has been totally infilled whereas the western side remains open and the trackbed is easily discernable as it proceeds towards Strelley Wood. This part of the trackbed was used in the 1970s by lorries and the reason that the eastern side of the bridge is filled in as this site was used as a refuse site. Lorries would travel along Waingroves Road and at the point where the road turns sharply to the right and into Church Street, Codnor the lorries would bear left and up onto the trackbed. Until the 1990s a stone arch bridge existed here taking a track under the railway, past a farm and onto Codnor Denby Lane near the site of the Searson’s houses. Hall was still in situ in January 2009. The western side was filled in completely during the 1970s when the area was used for landfill. This view shows the cast iron deck and stone abutments well. can be followed as far as Waingroves Road. Beyond Strelley Wood, which is now a nature reserve, and is designated as ancient woodland, access to the trackbed can be obtained to follow the course of the line to the site of the bridge taking the line beneath Heanor Road. The bridge was demolished in 1955 and the road re-aligned. From here the line would have passed beneath and immediately entered Crosshill & Codnor station. Today it is necessary to climb up onto Station Lane, which coincidently was renamed when the railway arrived but never led to the station, and back onto Heanor Road. From there it is possible to walk down what would have been the station drive and to the site of the station. the original alignment of the railway. When Crosshill & Codnor station closed it was used as a social centre for the unemployed during the 1930s. The Duke of Kent visited the station in the 1930s whilst it served this purpose. After this it was used by two separate building contractors during which time it fell into a dilapidated condition. The buildings and platform were demolished in 1972. Today the station site is occupied by K.P Electromech a company who manufacture electromechanical relays and industrial controls. Their offices and buildings occupy the area where the platform and buildings would have once stood; however it is still possible to trace the gentle curve of the alignment as it began turning south eastwards towards Heanor. The occupation of this site means that it is not possible to continue along the course of the line but by taking the Crosshill to Woodlinkin footpath off Heanor Road this leads to the site of the bridge which carried the footpath over the line. Standing at this site today the land on the station side has been used for a small plantation of young trees, whilst the western aspect has been totally lost to landscaping. Until the 1980s the bridge and the embankment carrying the line towards Loscoe Dam and Heanor remained. This site was extremely popular with the younger generations of Codnor people who would often play and build dens on the extremely overgrown embankment. However, on this stretch of the embankment caution had to be exercised. As has previously been mentioned, many of the bridges along the line were taken out in the late 1920s leaving large gaps in the embankments where the decks used to be. Children exploring the embankments found themselves walking through waist high vegetation before being faced with a 30 ft drop where a bridge used to exist. In the 1980s an area in excess of 500 acres was mined for opencast coal and this removed all traces of the embankment with the exception of a small section and stone arch bridge behind Brook Farm at Loscoe. This small section survived until it too was demolished in the 1990s and the embankment ploughed back into the landscape. From the site of Crosshill & Codnor station, the next point where access can be obtained is Furnace Lane in Loscoe. The lane is named so as it once led to a sixteenth century furnace owned by the lords of Codnor Castle. Here the stone abutments to the cast iron deck bridge remain. On the eastern side of the bridge it is possible to gain access onto the embankment and walk a short distance along the trackbed as it passed on the western side of Loscoe Dam. The dam was probably built as a fishpond for Codnor Castle, before being used to supply water to the adjacent furnace. Latterly, the dam was used by Loscoe, Ormonde and Bailey Brook collieries to produce electricity. On the western side of the Furnace Lane bridge a footpath runs with the embankment on the right before it ends abruptly and an industrial unit occupies the trackbed. It was at this point that a two arch stone built bridge existed to take a privately owned branch into Loscoe colliery. It has previously been mentioned that this was an extension of the already existent branch which served the Bailey Brook colliery. railway crossed Furnace Lane, Loscoe on a cast iron deck bridge. access to the trackbed on both sides of the bridge. Loscoe Colliery branch beneath the railway. 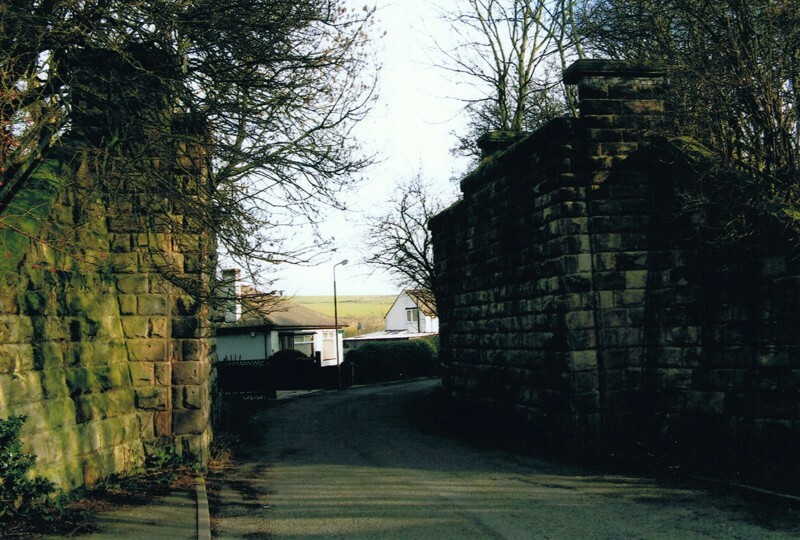 Upon reaching Taylor Lane, a stone bridge, similar to that at Furnace Lane existed until the 1970s taking the line over the road and into the Newlands area of Heanor. Today there are no remains of either the bridge or the alignment of the railway and a substantial industrial estate and recycling facility occupy the site. It is worthy of note that at this point the railway would still have been on an embankment and for some reason a very small section within the industrial estate has remained although for what purpose it has not been established. From Taylor Lane, it is necessary to rejoin Loscoe Road and follow the road before bearing left onto Longbridge Lane. A short walk along the lane leads to the site of the railway. At this location the line would have just begun to enter the cutting which eventually led to Heanor station and it is for that reason that a bridge was built here taking Longbridge Lane over the railway. Standing at the site of the bridge today, a line of electricity pylons can be followed all the way back to the end of the embankment near Taylor Lane. The pylons follow what would have been the alignment of the line and it is possible to trace the gentle curve the line took to reach this point. In addition to this there are the remains of a hawthorn hedge which would have marked the top of the cutting. From Longbridge Lane looking westwards towards Heanor station, the site has been developed and now accommodates a small estate of modern houses called Tudor Falls. These houses have been built into the cutting and a turning area has been provided at the bottom of the road where the cutting originally widened to accommodate the station goods shed and sidings. Heanor Urban District Council acquired Heanor station cutting from British Railways sometime in the late 1960s and it was the local authority who proceeded to fill the cutting in and leave the scant remains visible today. The bridge taking the line beneath Midland Road has totally disappeared apart from one of the stone parapets that remain amalgamated within the garden wall to the adjacent residential property. 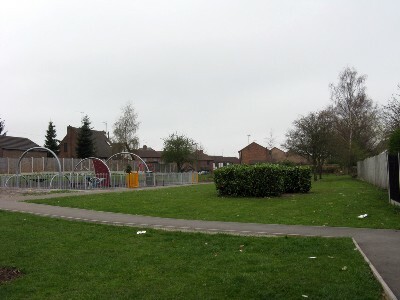 The station itself has been totally infilled and a children’s playground has been built on this site. It is alleged that when the cutting was filled in, in the early 1970s, the station platforms were not demolished and rubble and spoil were merely placed on top. From the station, a public footpath through a residential estate follows the approximate course of the railway. In places there remains the hawthorn hedge which would have been at the top of the cutting as well as the wire fence and concrete posts erected in later years to prevent the public trespassing onto the railway. Today the section from Heanor to the Mansfield Road bridge affords excellent views across to the site of the Bailey Brook colliery and another footpath marks the course of the private railway which served the pit. On the approach to Mansfield Road, the course of the line deviates away from the footpath and would have run through what is now the rear gardens to the properties on Ardsley Close. The Heanor side of the Mansfield Road bridge has been blocked by a breeze-block wall; however the stone parapets remain on both sides of the road. A footpath can be taken from Mansfield Road bridge which runs parallel to the course of the railway. It is impossible to walk the trackbed here as it is densely overgrown. A little further along at the Trent Barton bus garage is reached just before the line passed beneath Aldreds Lane. This location marks the site of Heanor goods junction, where the Bailey Brook branch would have joined the Butterley to Langley Mill branch. Whilst the former line passed beneath Mansfield Road to reach the junction, the Bailey Brook line crossed Mansfield Road on a level crossing before reaching the junction. The bus garage has totally obliterated any traces of this junction; however the fine bridge at Aldreds Lane does remain. 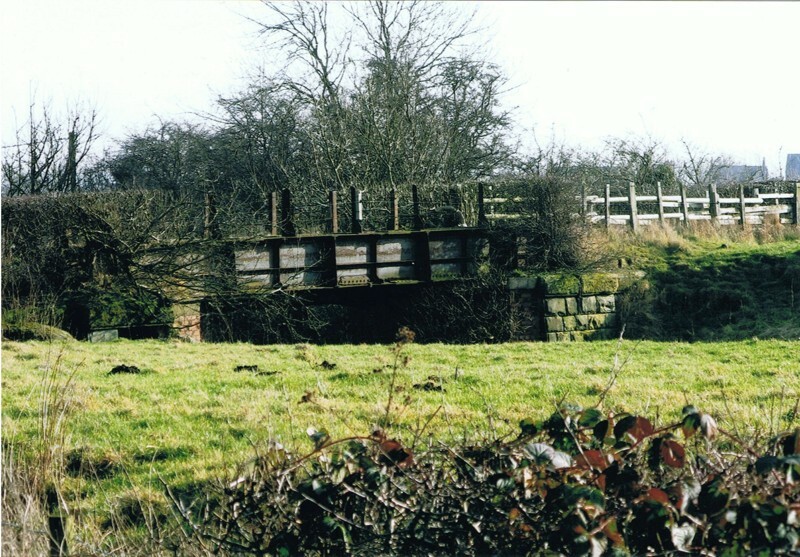 The bridge has been well maintained by the local authority and a plate, on the Langley Mill side of the bridge, remains informing that the bridge was manufactured by the Butterley company in 1888. Unfortunately, Aldreds Lane bridge is the final location where any discernable remains of the Butterley to Langley Mill branch can be seen. There has been significant re-landscaping of the area in recent years which has removed all traces of the alignment and it is no longer possible to trace where the line would have run to the junction where the curve to Langley Mill ran from or where the other spur to Heanor junction ran. It is not surprising therefore to learn that there are no remains of the Langley Mill bay platform. The present day Langley Mill station was opened in May 1986 following the closure of the previous station on 2nd January 1967. In the intervening years the old station was gradually demolished and the only significant remains to be seen are the old station approach and site of the goods yard. Our trip along the Butterley to Langley Mill branch is now complete, but having considered the conception, operational history, demise and closure of the line one must ask why the branch was such an early victim of railway closure. This particular point can be viewed in two separate ways. Firstly, the branch was a relative late arrival in the Derbyshire rail network. By 1895, when the line was open throughout, growth of the railway network was slowing down. Also, this period saw the emergence of alternative forms of public transport that threatened the viability of the railways. These new forms of transport such as the tramcar and motorbus developed so rapidly that the railways did not have time to respond to the threat nor could they compete in either terms of speed and convenience. The Midland Railway therefore must have resigned itself to the fact that regardless of what it did to develop or sustain traffic along the branch it simply could not match the benefits that its rivals could offer. This is probably best manifested by the fact that all the stations along the line were provided with only the basic facilities. Secondly, the railway was born out of a rivalry between the Midland Railway Company and Great Northern Railway companies. As we have discussed, the Midland desperately wanted to prevent the Great Northern from reaching Ripley and was determined that it should build a line which prevented the Great Northern access beyond Heanor and the communities en route to Ripley. The route taken whereas it prevented that company from doing just that did so at the expense of running away from areas of population that could have provided passenger traffic. At the time the railway arrived we have seen that both Crosshill & Codnor and Heanor stations were built where local population was sparse and reliance was made on neighbouring communities. Therefore, as developments in public transport emerged the railway was ill placed to act. Whatever the line of thought one chooses to believe, the Butterley to Langley Mill branch serves as an excellent example of the rapid rise and fall in the fortunes of the railway companies present in this part of Derbyshire in the late nineteenth and early twentieth centuries. I should like to express my sincere thanks to members of the Heanor & District Local History Society who have kindly assisted me with some of the factual content of this article. Their wealth of local knowledge has made an invaluable contribution and I am extremely grateful for their assistance. The following sources have been used in the compilation of this article.